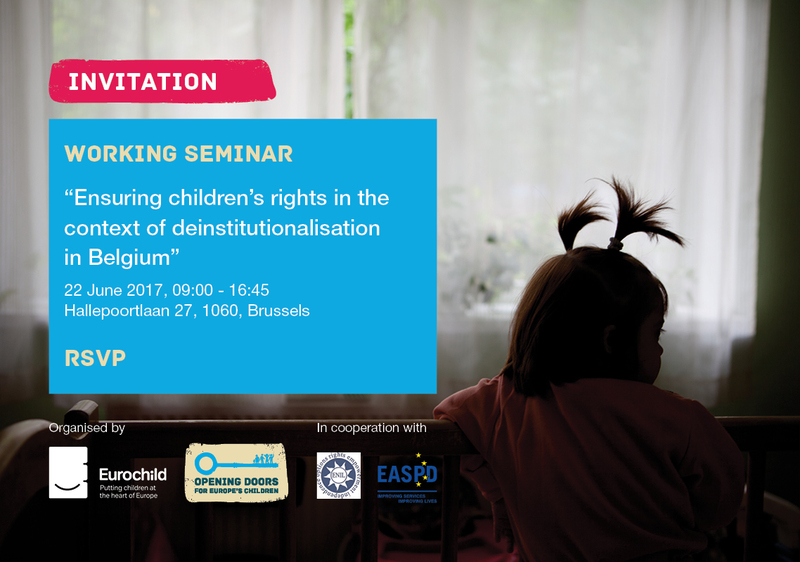 Eurochild , through the ‘Opening Doors for Europe’s Children’ campaign, in cooperation with ENIL and EASPD, is organising a working seminar “Ensuring children’s rights in the context of deinstitutionalisation (DI) in Belgium”. The seminar will take place on 22 June 2017 from 09:00 to 16:45 on the premises of Kind en Gezin (Halleportlaan 27, Brussels, B-1060). 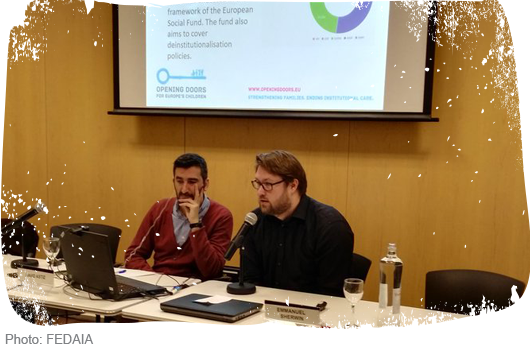 Changing the model of care provision for vulnerable children from an institutional care model to a community model is the aim of a series of seminars organised by FEDAIA, the Federation of Care and Education Institutions for Children and Adolescents in Catalonia, Spain. Three seminars and a technical meeting under the title “Cycle Tribuna FEDAIA 2017” will be held during 2017 where different points related to the central axis of this change of care model will be explored in relation to children and families at risk of social exclusion. 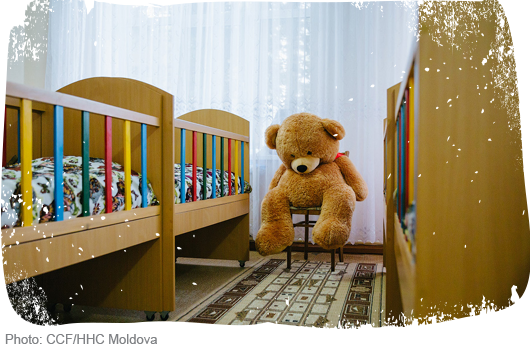 Strengthening families and tackling child poverty goes hand-in-hand with ending institutional care for children, writes Jana Hainsworth for Euractiv. The Opening Doors for Europe’s Children progress report reflects on campaign’s achievements towards making a positive difference for hundreds of thousands of children across Europe during Phase I. With larger partnership and extended geography, it describes campaign’s transition into the second phase which is expected to run until the end of 2018.